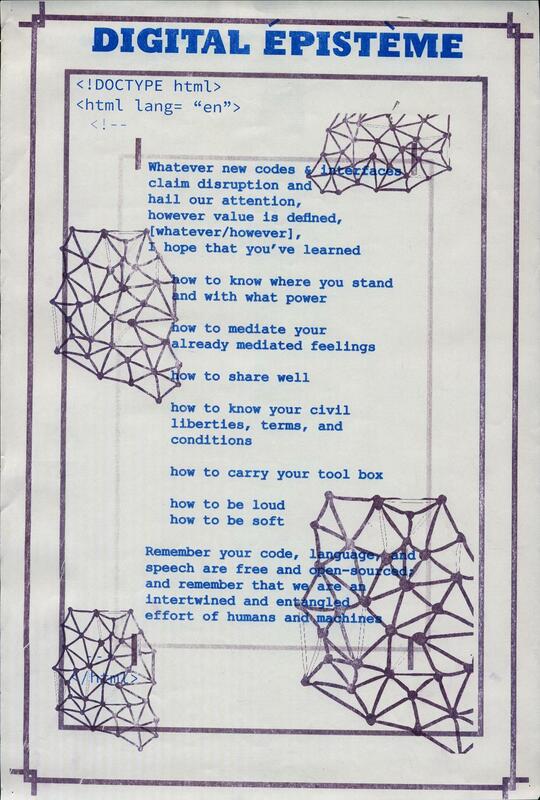 Re-Mediating Manifestos is a series of Risograph-printed posters as well as a dynamic digital environment that explores the digital intersections of expression, subjectivity, and labor through close readings of manifestos by artists and thinkers across disciplines. 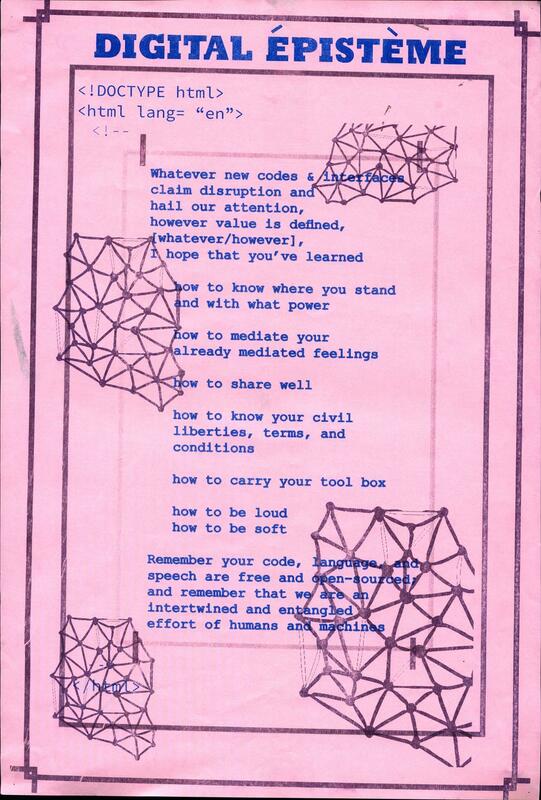 On a mounted iPad, viewers are invited to interact with a curated archive of manifestos, whose calls to action remain relevant, withstanding time and ideologies. The project culminates in a manifesto for the digital citizen, subjects whose lives are necessarily mediated by technologies in any and all capacities. Re-Mediating Manifestos seeks to recognize the significance of the manifesto as a trace of history and a space of expression. The project was designed, written, and coded in collaboration with Ashley Kang. Special thanks to David Furfero’s jQuery Touch Punch hack and the Women’s Center for Creative Work in Los Angeles.